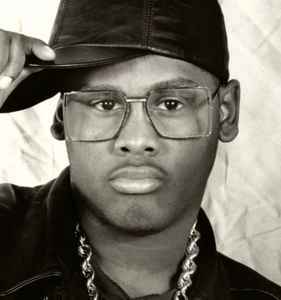 Warren McGlone (born September 17, 1969 in Philadelphia, Pennsylvania), known by the stage name Steady B, was an American rapper and emcee who, along with Schoolly D, the Fresh Prince, and Three Times Dope, was one of the first wave of Philadelphia-area rappers to gain notoriety in the mid to late 1980s. Steady B's musical career was relatively short-lived, and he is currently serving a life sentence in a Pennsylvania state prison for his role in the murder of a Philadelphia Police officer during a botched bank robbery in January, 1996. On January 2, 1996, Steady B, along with C.E.B. band mate Cool C, and another local Philadelphia rapper, Mark Canty, attempted a bank robbery at a PNC bank branch in Philadelphia. During the botched heist, where Steady B served as the getaway driver in a stolen minivan, Philadelphia Police Officer Lauretha Vaird, who responded to the bank's silent alarm, was shot and killed by Cool C. Officer Vaird, an African-American woman and the single mother of two children, was the first female Philadelphia Police officer slain in the line of duty. The incident inspired the song "Slipped Away (The Ballad of Lauretha Vaird)", which appeared on Philadelphia trio G. Love and Special Sauce's album Yeah, It's That Easy. Steady B was arrested at his apartment shortly after the bank robbery. Two handguns left at the scene by Cool C and Canty, including the murder weapon, were traced back to Steady, and he eventually confessed his role in the crimes to police during interrogation. At his trial, the State presented evidence, including testimony from Steady's wife, that Steady B, Cool C, and Canty met at Steady's apartment shortly after the robbery, where they watched media coverage of the event on television, and discussed their escape. Incriminating statements by Canty were also admitted into evidence at Steady's trial. On October 30, 1996, Steady was convicted of the second degree murder of Officer Vaird. On December 13, 1996, Steady B was sentenced to life imprisonment without the possibility of parole.